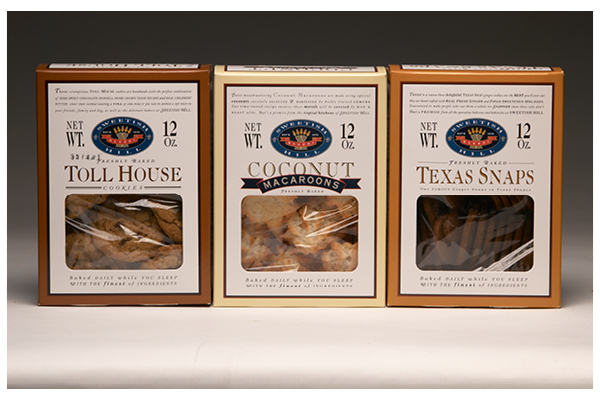 Tub packaging offers greater security and food safety while still maintaining classic Sweetish Hill look and feel with full color adhesive wrap. 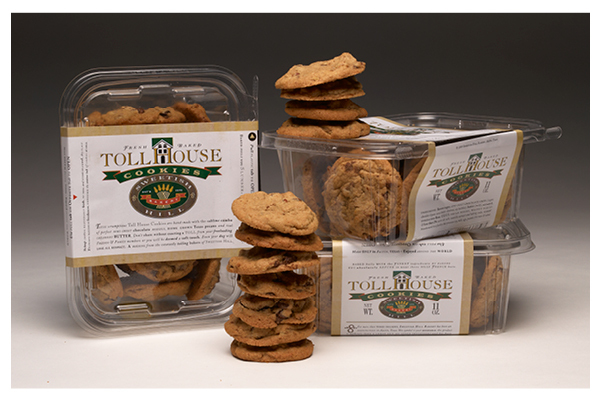 Color packaging was created as additional varieties of cookies were added and the need to quickly and easily distinguish between them increased. 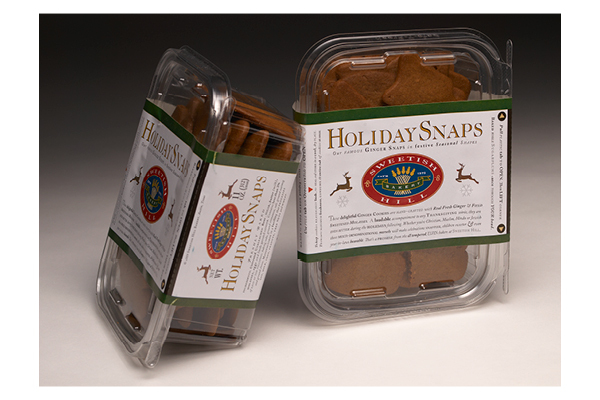 Holiday season ginger snaps have always been a big seller and this year’s holiday packaging was designed for tubs rather than tins.